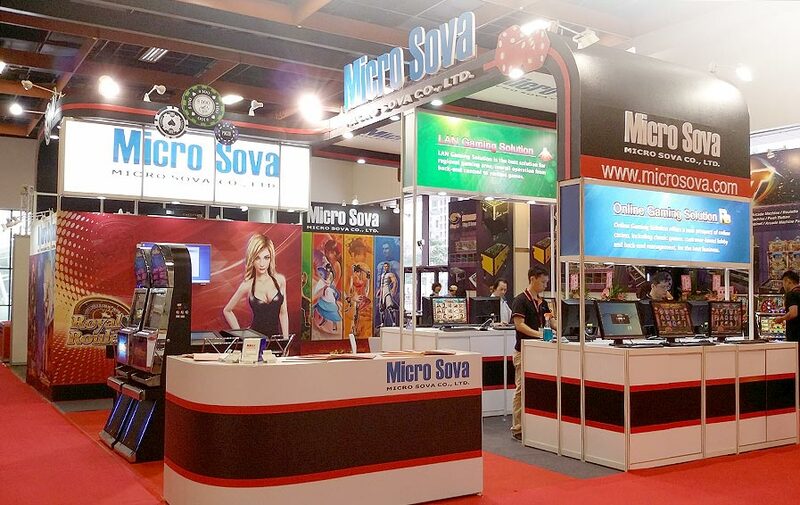 Micro Sova Co. Ltd. was established in 1995, the first software company in Taiwan dedicating to 3D Virtual Reality(VR) graphic technology and had gained well achievements. In early time, we had also developed Shooting and Puzzle games and cooperated with Ministry of National Defense for software developing on flight simulator, and etc. Later, we had stepped into Casino Game business and had won chances to cooperate with major companies from Europe and Japan for game developments. With our outstanding and professional RD, Art Design, and Project Plan teams, we are able to provide and support our customers a Total Solution. Every game from Micro Sova is made from scratch, including stages as Initial Draft, Draft Confirm, Programming & Art Design, Project Developing, Game Made, and the establishment of Back-end Account Management System. There are Three major product lines, including Online/Mobile Game System, LAN Game System, and Game Software Package for arcade machine. High quality and fast service had won us well reputation and many customers. Always leaning and listening to our customers. Always self criticism and accomplish the best. 1995 : Micro Sova was established. 2004 : Micro Sova presented Multi-Players Cabinet game. 2006 : LAN Game System was announced in South-East Asia. 2011 : Micro Sova acquired SAS License authorized by IGT. A. Work with one major Japanese game company for game developing. B. Join ventured with Good Job Company, who dedicates in integrating casino machine & member management system and Online Pay Gateway platform. 2015 : Mobile Game System development, including Android & iOS systems. 2016 : Mobile Game System released & transition from Unity to HTML5 to meet market trend. 2017 : New multiplayer 3D fish game release- Ocean Dragon. With synchronized tech and 3D exquisite artworks, all the efforts make it as one of the outstanding.